Sven Sommer is COO of lawpilots and is responsible for the sales and marketing strategy as well as business operations. The company offers digital learning in the field of digitization and law to enterprises around the world. We want to make complex legal topics accessible to all employees through hands-on and fun digital training. 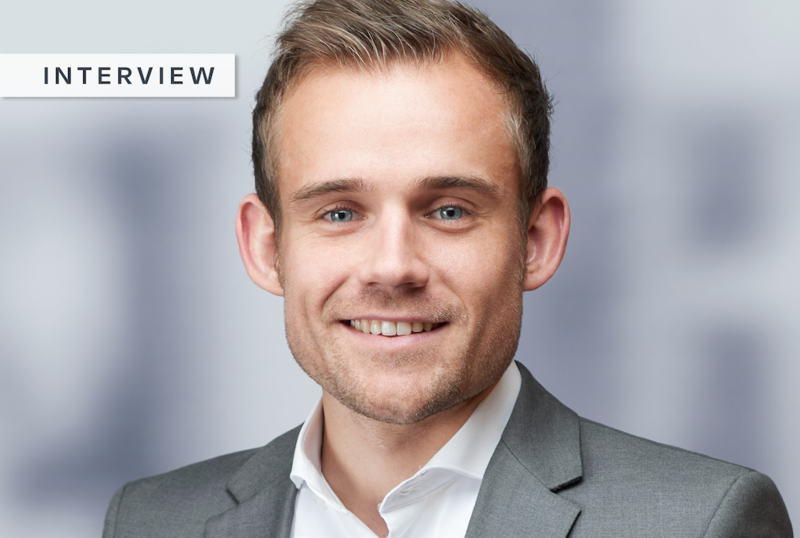 In this interview, Sven talked to Personnel.ly about digital learning and future trends in the area. Personnel.ly: Lawpilots offers all of its courses digitally and is therefore basically ‘revolutionizing’ legal training in enterprises. What advantages do you see in teaching the courses online? Sven Sommer: Enterprises face one major challenge: they need to prepare their employees for the growing legal challenges of digitization. Thus, e-learnings are a simple, effective and highly flexible way of educating their employees. Eventually online courses save expenses and time. All courses are accessible on all devices - no software required. The online format also enables lawpilots trainings to be fun: The complex topics are adapted in a simple and hands-on way that anyone can understand, transferred with games and interviews. What are the challenges with e-learning when acquiring new customers and how do you overcome them? E-Learning has a negative reputation, because many of the programs have been boring and not engaging. Some companies are price driven and do not see the advantages of real quality trainings, so we need a little convincing. Besides information about the advantages of our trainings, we show our potential customers the course demo and share success stories that we already had with clients. We also introduced additional services like chat support and we continuously improve our courses and service. You said e-learning has a negative reputation, which disadvantages and advantages do you see with e-learning in general? E-Learning offers the greatest possible flexibility in terms of time and space. Whereas presence training is often expensive, boring and takes up a lot of time. Gamification can be part of the online trainings, which improves the learning outcome of the user. E-Learning-courses can be easily translated into different languages which offers a great advantage for international companies and its variety of employees. In terms of disadvantages, there might be some employees who still want to have a classroom training or as of now certain questions that users might have during the training will not be answered. However, I think that the advantages definitely outweigh the disadvantages. What do you think about Blended Learning? Blended learning is definitely worth a consideration, I would say it depends on the topic that is trained. E-Learnings are very helpful to provide a good basic knowledge to bring every employee on the same level of knowledge. If you want to go into further detail, on-site, very specific sessions could be a good addition. Of course you always have to outweigh the benefits and costs of implementing blended learning. If a company is interested in introducing e-learning to its employees, what is the best way to implement it? What should be considered? A company should be careful in choosing the right form of e-learning for its employees. 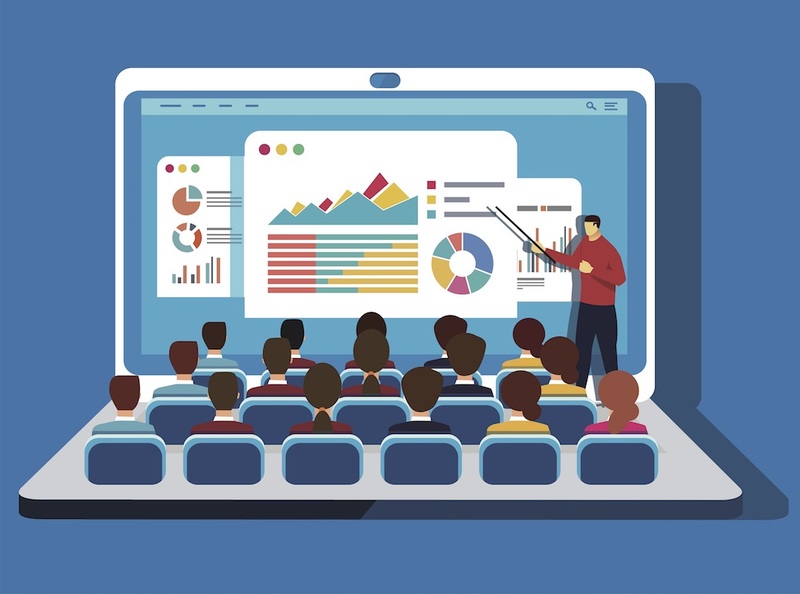 There are a lot of providers who sell so-called digital trainings consisting of powerpoint files, which are annoying and thus not effective at all. A good e-learning is self-explanatory and the application as well as the implication needs to be simple. Integrations in own learn management platforms can also be helpful for enterprises. For example, with lawpilots, companies have the possibility to integrate the e-learnings on their own platform. The company should also take into account what the employees really want and need, surveys could help to find this out. Of course it helps, when companies choose e-learnings that are fun and therefore actually work! I also believe that feedback is very important. How did employees like the training? What could be improved? Basically, involve your employees in the decision process which online training should be implemented. What trends do you see in e-learning? For Statista, the most interesting topics in e-learning within the following 3 years will be e.g. product trainings, compliance trainings, customer trainings and courses about industrial safety and IT business processes - I believe, lawpilots is on the right track. The increasing technology also brings up lots of new possibilities for e-learning-developers: Artificial Intelligence, Machine Learning, Big Data, Micro Learning…- just to name a few - are becoming more and more important. Of course, lawpilots wants to shape the digital learning industry. Thus, new technologies and methods are being continuously researched and integrated into our courses. How do you see the future of e-learning? Will it prevail over conventional training methods? In times of digitization, companies will keep on searching for alternatives for training their employees. In terms of time, space and money, high quality e-learnings will become necessarily inevitable to enterprises! So, I do think that e-learning will become a very good alternative to classroom trainings because companies will not be able to train their employees in the growing complexity of legal implications all the time. The speed of change is just too high. Additionally, I also believe that a new generation of employees will also be more open minded towards new learning methodologies, like e-learning. lawpilots is an e-learning specialist for digitization and law. The LegalTech company revolutionizes legal training in enterprises. Our vision is to make complex legal topics accessible to all employees through hands-on and fun digital training. Under the claim “Law.Simple.Understood.” lawpilots operates not only in Germany or Europe but also all around the world. The online courses are available in 31 different language and country versions on topics such as data protection, compliance, information security and work safety - including industry specific specializations, e.g. in the areas of HR, healthcare and public institutions. All of their content is developed in close cooperation with renowned partners from Schürmann Rosenthal Dreyer Rechtsanwälte and ISiCO Datenschutz GmbH, who specialize in data protection and all legal issues of digitization, and have more than 10 years of experience in data protection within Germany. According to lawpilots, the training is highly motivating which is confirmed by their customers with a recommendation rate of over 90%. lawpilots also offers legally compliant reporting with certificates as proof for audits.